i actually found this nandina at a garden center and didn't really have to do much to it. it had a very interesting trunk and i just had to prune it into shape. 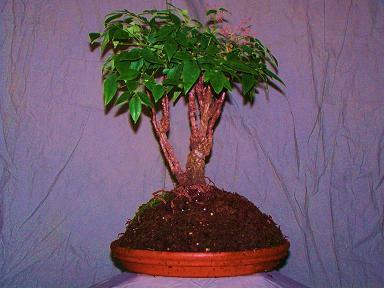 i'm looking forward to seeing this tree progress into bonsai. Comments for My Nandina "Gulf Stream"
I just bought two nandinas in 5-gallon pots and want to prune them out similar to yours. It gives a nice effect. So glad you posted this picture!